Going ‘green’ means something different to every company. For some, switching to energy-efficient light bulbs or buying refillable toner cartridges may seem like enough to reduce their organization’s environmental impact, while others believe that integrating an eco-friendly way of thinking into their company’s ethos will pay off more in the long run. But if you really want to take responsibility for your environmental impact in the work place, office furniture is the place to start. Chairs, desks, and storage units can impact the environment in many more ways than just by using up energy and resources during the manufacturing process. If you want to make sure that your office furniture will not end up in the landfill – and will even save you money in the long run – here are some guidelines to consider. Work these days is being done in a way that’s fundamentally different from 20 years ago. A mix of mobility, technology-driven innovation, and collaboration is shaping both the design and allocation of space in the workplace. Workers today are always-connected and location-independent, and they need furniture solutions that can support this new workstyle. In a word, they need modular furniture, which has two essential qualities: 1) is flexible, which allows the user to reconfigure the pieces as and when required, and 2) is adjustable, which means it can be set to accommodate workers of different builds and heights. Durability is, perhaps, the most important – and often overlooked – aspect of green office furniture. A well-constructed piece of furniture that is tough, resilient, and easily fixable can be used for a long time and even passed on from person to person, which means less energy and fewer resources will be needed to produce new furniture. At the same time, there will be less pollution during manufacturing and transport and less waste sent to the landfill. For office managers, acquiring office furniture that doesn’t easily break and stays new for a longer time translates to fewer costs and increased employee satisfaction. Buying furniture produced and sold near where it will be used means less energy will be used to bring the furniture to its final destination, also resulting in less congestion, habitat loss, and pollution. As a result, you pay less for your products and the impact on the environment is significantly reduced. But the advice to ‘buy local’ is more than just a catchy slogan. By purchasing from local suppliers, you help keep the local economy alive, ensure choice and diversity of products, maintain the uniqueness of your community, and enjoy dedicated customer service. 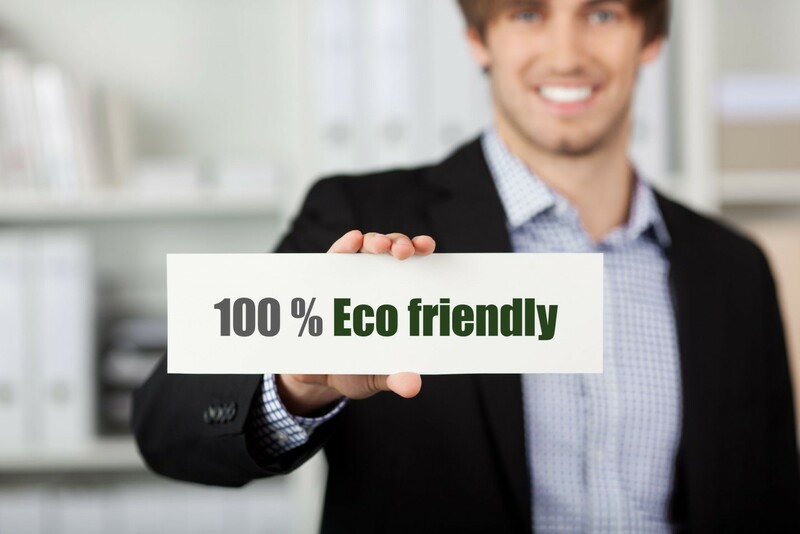 In addition, you should consider buying from a furniture manufacturer that uses materials such as steel, glass, and aluminum, which not only are 100% recyclable, they maintain their durability and lightness no matter how many times they have been reused. Contrary to what most people think, sustainably-produced furniture is not automatically more expensive – considering that manufacturers get to save significantly on natural resources and energy, this should translate into lower costs for customers, as well. 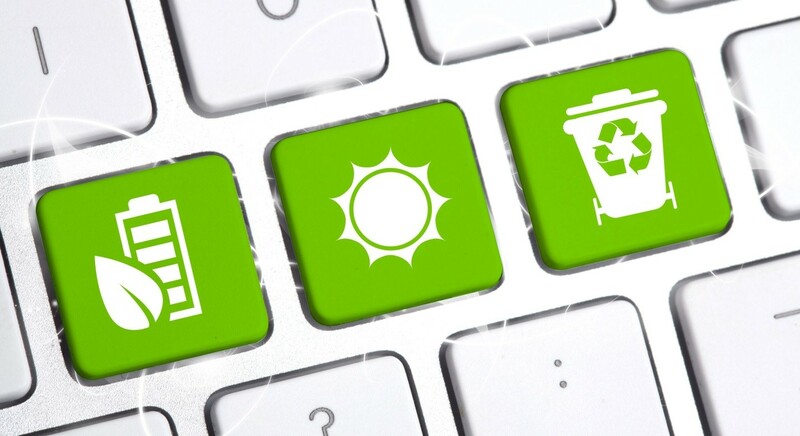 Going green is not a one-time project, but an ongoing process that will significantly limit your office’s environmental footprint and increase your bottom line. If your office is planning to go ‘green’ this year, but you aren’t sure where exactly you should start making changes, call your local eco-friendly office furniture supplier to learn more about your options.